beautiful, remarkable experience of your life. The reality is a little different though, isn’t it? And birthing a baby? Doesn’t always happen the way we want it to. But if you’re here (and still reading), I’m going to guess you know this already. Intimately. Welcome! 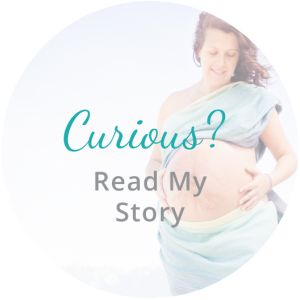 I’m Crystal Di Domizio, pregnancy + birth healing coach, and above all, I want you to know, you’re not alone. Not every mother-to-be is stoked to go through the birthing process. Some pregnancies are riddled with fear, doubt + debilitating anxiety. And births don’t always happen the way we want. Some women are left feeling really isolated after an unexpected birth experience - disappointed, vulnerable, inadequate, angry, guilty and even jealous of other women whose births did go as planned. But imagine if you didn’t have to feel that way anymore? What if you could feel prepared and confident to give birth – whether it’s in your birth pool, living room or nearest hospital - with a sense of ease and “Heck yes, I can do this!”-ness? And if you’ve already given birth, what if you could turn back the clock and transform the crushing anger, sadness and guilt about your birth experience...into genuine, loving acceptance and peace? You can. And I can help. Come on in, mama. Let’s talk.